Soil is the naturally occurring rock particles and decaying organic matter (humus) on the surface of the Earth, capable of supporting life. It has three components: solid, liquid, and gas. The solid phase is a mixture of mineral and organic matter. Wetlands are areas on which water covers the soil or where water is present either at or near the surface of that soil. Wetlands often host considerable biodiversity and endemism. Their hydrological conditions are characterized by an absence of free oxygen sometimes or always. It favors the development of anaerobic microbial community. In the absence of electron acceptors other than bicarbonate, methane is the end product of organic matter degradation in wetland ecosystems. It makes wetlands important sources of the greenhouse gas CH4 in the context of the problem of global climate changes. Peatlands are a type of wetlands and form when plant material is inhibited from decaying by acidic and anaerobic conditions. Methane production in peatlands tends to vary tremendously both spatially and temporally and depends on environmental factors such as temperature, pH, and water table, as well as plant cover. In anaerobic peat, acetate and CO2 are the most quantitatively important CH4 precursors. Most studies suggest that acetoclastic methanogenesis is an important pathway for CH4 formation in nutrient-rich fens covered with Carex sedges, whereas CO2 reduction is an important methanogenic pathway in Sphagnum-dominated bogs. Such bogs, the predominant peatlands, are typically acidic (pH < 5) with low concentrations of mineral nutrients. The Sphagnum bog microbes seem to have special metabolic mechanisms to cope with low-mineral and diluted nonbuffered solutions. As a whole, the soil microbial community in wetlands plays an important role in biogeochemical cycles and is crucial to the functions of wetland systems. Research on the diversity and abundance microorganisms in wetlands rapidly develops owing to the advantages of molecular biological methods. The insights into the microbial community functioning and adaptation mechanisms in wetlands provide a valuable background for studies on biotechnological applications of microorganisms inhabiting these ecosystems. The soil-microbe system is one of the most diverse components of the terrestrial ecosystem. Soil is an extremely complex, variable living medium performing many vital functions such as biomass production and storage and microbial transformation of various substances, including water and carbon. These processes are of particular interest in freshwater wetland ecosystems where nutrient cycling is highly responsive to fluctuating hydrology, and gases produced in soil may contribute to climate warming. Northern peatlands are one of the most typical environments located in Eurasia and North America. This type of environments has been proved to be one of the powerful sources of atmospheric methane (IPCC 2013). Besides low pH, other extreme conditions of such environments are high content of organic matter, low mineralization, and permanently low temperature in anoxic peat layers. Methane emission from such environments has been well established by various field measurements (Williams and Crawford 1984; Chen et al. 2008; Glagolev et al. 2012; Kelsey et al. 2016; Webster et al. 2018). The ecological, biogeochemical, and hydrological regimes in peatlands are complex, resulting in a wide temporal and spatial variability of CH4 emissions. The rates of methanogenic degradation processes go down significantly under acidic conditions. In spite of rapidly developing molecular methods for study of microbial diversity, there is a lack of data to get a clear insight into the relationship between mechanisms of methane production and the functional structure of methanogenic microbial community. In anaerobic peat, CH4 production is considered to be dominated by acetoclastic and H2-dependent pathways and often occurs at acidic pH. Acidophilic microorganisms inhabiting peat wetlands can have peculiarities in the regulation of metabolism as well as in specific physiological adaptations to low pH (Russell 1991). Molecular biological studies of wetland anaerobic communities have revealed physiologically distinct bacterial and archaeal lineages also (Galand et al. 2002; Utsumi et al. 2003; Bräuer et al. 2011; Bodelier and Dedysh 2013; Dedysh and Ivanova 2019). Soil is defined as the top layer of the Earth’s crust, capable of supporting life. It is the most complicated biomaterial on the planet and is formed by mineral particles, water, air, decaying organic matter (humus), and living organisms (Crawford et al. 2005). Soil is the greatest reservoir of biodiversity on the planet. Prokaryotes comprise more than half of the biodiversity on Earth, and their diversity in soil has been estimated to be about three orders of magnitude greater than in all other environments combined (Curtis et al. 2002). Soil microorganisms mediate many processes, providing the turnover of elements such as carbon, nitrogen, and sulfur and different metals that regulate ecosystem function and also feedback to influence atmospheric chemistry. The waterlogging of biologically productive soils makes them anoxic and allows anaerobic microbial community to develop. Once the soil becomes anoxic, remineralization rates lower and organic matter can accumulate. Under anaerobic conditions in freshwater environments, CH4 production becomes the most important terminal electron sink of anaerobic respiration. Wetlands are areas on which water covers the soil or where water is present either at or near the surface of that soil. Water can also be present within the root zone all year or just during various periods of the year. The result is a hydric soil, one characterized by an absence of free oxygen sometimes or always. Wetland ecosystems are characterized by hydrophilic plant communities and have fluctuating hydrology that gives rise to an interplay between aerobic and anaerobic processes (Gutknecht et al. 2006). Wetlands, because of their complex hydrology and nutrient cycling and presence in both urban and unmanaged areas, are uniquely positioned to influence biogeochemical cycling in many regions and at many scales. A wetland may be found in coasts, estuaries, floodplains, shallow lakes, and peatlands. Wetlands are considered to be the largest natural source of atmospheric CH4, an important contributor to global warming, and are responsible for the release of ca. 10–30% (50–150 Tg CH4) of the total annual methane emission (Cicerone and Oremland 1988; IPCC 2013; Matthews and Fung 1987). Wetlands are not equally distributed across latitudinal zones, and therefore wetlands will have a different impact on the CH4 budget at different latitudes. The greatest areal extent of wetlands is at higher latitudes of the Northern Hemisphere (>40°N) in temperate-cold climates, particularly in Russia, Canada, and the USA, occupied by peatlands (Aselmann and Crutzen 1989; IPCC 2013). Peatlands are unbalanced wetland ecosystems where productivity normally exceeds biodegradation. This imbalance leads to the accumulation of organic deposits (peats), which are derived from dead and decaying plant material under conditions of permanent water saturation. Although peatlands represent a relatively small area (~3% of the Earth’s surface) and have low levels of primary productivity compared with other terrestrial ecosystems, the peat-accumulating wetlands are significant repositories of carbon. They store more than 30% of the world’s terrestrial C pool and represent a large natural source of CH4 to the atmosphere (Matthews and Fung 1987; Whalen 1993: Haddaway et al. 2014). Peatlands have an organic soil layer of at least 30 cm extending to 15–20 m depth with an estimated mean between 1.3 and 2.3 m for northern peatlands (Turunen et al. 2002). Another type of wetlands situated at the intertidal zones along the tropical and subtropical coasts, particularly in Southeast Asia, are mangroves. They are diverse and productive ecosystems playing a very important role in shaping the coastal ecology and typical example of mesophilic and moderately halophilic environmental niches (Bhattacharyya et al. 2015). Emissions of CH4 from northern peatlands vary as a function of temperature, pH, substrate and nutrient availability, anoxia due to flooded conditions, the degree of CH4 oxidation that occurs in the upper aerobic sediments of peatlands, production enhancement and transportation via certain vascular vegetation (Bellisario et al. 1999; Chen et al. 2008; Dijkstra et al. 2012; Sabrekov et al. 2014), and the presence of other microorganisms outcompeting the methanogens such as sulfate and iron reducers and homoacetogens (Frenzel et al. 1999; Kotsyurbenko et al. 1996, 2001; Hunger et al. 2015). There are three primary mechanisms for CH4 and CO2 transport from anoxic soils to the atmosphere: diffusion, ebullition, and movement through plant aerenchymous tissues (Lansdown et al. 1992; Kutzbach et al. 2004). Plants may enhance the emission of CH4 through root-leaf transport and by passing oxidation in the aerobic zone as well as by releasing carbon exudates from plant roots, which are labile substrates for methanogens (Ström et al. 2003; Kelsey et al. 2016). Peatlands include a wide range of ecosystems: each with a characteristic peat soil derived from partially decaying plant material and with little or no rock-derived minerals. Types of peatlands mostly depend on geographic region, terrain, and vegetation type. A characteristic of many peatlands is that the plant species composition of surface vegetation can be quite different from the remains of plants in the peat that dominated in the past. Deep peat deposits occur in wetlands in northern latitudes and the depth of the peat decreases with a decreasing latitude due, in part, to climate (Yavitt et al. 1987). Peatlands are characterized by surface heterogeneity and fluctuating water table position that results in differences in the thermal regime, nutrient cycling, plant community composition, and organic matter production on a scale of several meters (Whalen and Reeburgh 2000). A major distinction in the types of peatlands is between bogs and fens (Aselmann and Crutzen 1989). Bogs are the most acidic peatlands, which are fed only by precipitation and are nutrient-poor. They are characterized by low-mineral nutrient concentrations and dominated by Sphagnum mosses and a few ericaceous shrub species. Fens are near-neutral pH peatlands, which are fed by surface and groundwater as well as precipitation and tend to be more nutrient-rich. An increasing pH is associated with less Sphagnum and a dominance by Carex sedges and graminoid plants. Except for the surface water microlayer, wetlands are anaerobic environments. As such, they represent suitable habitats for all microbial groups from the methanogenic community (Conrad 1996). Sulfate reduction zone can be also extensive in wetland soils, especially in marshes that are influenced by seawater. Methane production may be limited by microbial iron reduction (Metje and Frenzel 2005). Fe(III)-reducing microorganisms may suppress methanogenesis competing for H2 or acetate (Roden and Wetzel 2002). However, most wetland soil is devoid of O2 and also contains no electron acceptors other than CO2 and H+. The main factors regulating methane turnover in peatlands vary along smaller-scale spatial gradients. Closely situated areas of the same peatland can become either carbon sinks (dry hummocks) or sources (hollows), due to an effect of microform variations such as water table level and vegetation on the microbial community that can either oxidize or produce CH4 (Conrad 1996; Laanbroek 2010). As a whole, wetlands are ecosystems of exceptional ecological and economical importance. Their hydrology and biogeochemistry affect downstream waters and impact the overall landscape providing important ecosystem services such as wildlife habitat, water purification, and flood control. Methane is a major product of the anaerobic degradation of organic matter in peatlands and produced by methanogenic archaea. The activity of methanogens in peatlands can easily be detected, because methanogenic metabolic activity is directly related to the amount of CH4 produced in peat. Measurements of potential methane production show that methanogenic activity is restricted to the waterlogged layers of the peat, although it can also be observed in anaerobic microsites. The maximum CH4 production in peat profile takes place at the depth where most of the anaerobic degradation occurs. The methane production in acidic peats has been shown to be stimulated by increasing temperature (Kotsyurbenko et al. 2004; Metje and Frenzel 2007) and pH (Williams and Crawford 1984; Kotsyurbenko et al. 2007). The effect of these environmental parameters on methanogenesis indicates that peatland methanogens are metabolizing under suboptimal growth conditions that indicate the important role of microbial adaptation. The fact that microorganisms have growth optima that can never be achieved under in situ conditions is well established for different ecosystems. However, it has been also shown that peatlands contain endemic acid-tolerant microorganisms participating in methane cycle at a low pH (Dedysh et al. 2000, Dedysh 2002; Bräuer et al. 2011; Bodelier and Dedysh 2013; Serkebaeva et al. 2013). There are large temporal and spatial variations of methane emissions from natural wetlands (Lin et al. 2015; Sabrekov et al. 2014; Li et al. 2019). The positive correlation exists between the diversity of methanogenic communities and rates of methane production (Yavitt et al. 2012). Besides, a greater genetic diversity potentially reflects a greater diversity of methane production and oxidation pathways (Stoeva et al. 2014). The process of methanogenic degradation occurs stepwise and involves different microbial groups. Primary fermenters oxidize polymeric compounds via oligomers and monomers to acetate, H2, CO2, and other volatile fatty acids (VFAs). The VFAs are in turn converted to acetate and CO2 by synthrophs that require hydrogenotrophic methanogens as partners for keeping the produced H2 at a low, thermodynamically permissive, partial pressure (Kotsyurbenko 2005; Botsch and Conrad 2011). Methanogens have a very limited substrate range, and their activities are linked to the activities of other microbial groups of the community. In wetlands, methane is almost exclusively produced either from acetate or from H2/CO2 (Conrad 1999). H2 and CO2 can also be utilized by acetogens, and methanogens and acetogens may under certain conditions compete for the same substrates in fen and bog soils (Bräuer et al. 2004; Hunger et al. 2015). Methanol, which is released during the decomposition of pectin, a polymer of methoxylated galacturonic acid and a major cell wall component of plants, usually plays only a minor role (Hines and Duddleston 2001). The relative contribution of H2/CO2 versus acetate as methanogenic precursors can be quite different in various wetlands. The predominance of one respiratory pathway over another is generally a result of either the availability or lability of the carbon substrate. The acetate fermentation pathway is thought to dominate over CO2 reduction when fresh organic material is utilized as in sites with high plant productivity. Less productive plant communities with more recalcitrant material (Sphagnum dominate, sedges are scarce) tend to use the CO2 reduction pathway (Galand et al. 2005; Keller and Bridgham 2007). Acetoclastic methanogenesis seems to predominate in fens populated by Carex sedges (due to the availability of root exudates supplied by the vascular plant community), while CO2 reduction was more important in Sphagnum-dominated bogs (Kelley et al. 1992). The acetate fermentation often exceeds CO2 reduction in summer when decomposition of organic matter is most active (Avery et al. 1999). Methane stable carbon isotope composition can be used to reveal active methanogenic pathways. Enriched δ13C-CH4 isotopic signatures attributable to methane production pathway via acetate (Whiticar 1999; Conrad 2005) are often associated with sites exhibiting high rates of plant production and large CH4 fluxes. This confirms that abundant fresh organic material at sites with the greatest plant productivity stimulates larger CH4 emissions via the acetate fermentation pathway. Based on profiles of CH4 stable isotope ratios in peat, it was also shown that the upper profile was dominated by acetoclastic and the lower profile by hydrogenotrophic methanogenesis (Popp et al. 1999; Hornibrook et al. 2000). Hydrogenotrophic methanogenesis can occur locally even when conditions are not conducive for this process in the bulk peat. The isotopic composition of emitted methane mostly resembled CH4 of deeper soil layers (Popp et al. 1999). The methanogenic pathways also have been shown to be dependent on pH and temperature. A low pH is advantageous to H2-dependent methanogenesis, whereas a low temperature is favorable to acetoclastic methane pathway (Kotsyurbenko et al. 1996, 2005, 2007; Conrad 2002). At lower temperatures (5 °C), addition of exogenous substrates (acetate, methanol, or H2/CO2) in incubation experiments has no stimulatory effect on either the rate of methanogenesis or methanogenic community structure. In contrast, at higher temperatures, substrate amendment enhances methane production in H2/CO2 amended microcosms and played a clear role in structuring methanogen communities in transiently cold environments; methanogen communities can rapidly respond to moderate short-term increases in temperature (Blake et al. 2015). Acetate can even accumulate seasonally in northern peatlands (Hines and Duddleston 2001; Duddleston et al. 2002), followed by oxidation, and it has been proposed that aceticlastic methanogenesis may be absent or inhibited at these sites. Acetate also can be oxidized to CO2 via aerobic respiration or other oxidative microbial processes (e.g., via the dissimilation of iron or nitrate) or oxidized syntrophically to CO2 by the concerted activity of acetate-oxidizing anaerobes (Nüsslein et al. 2001; Hattori 2008). After diffusion into oxic environments, acetate can be also oxidized to carbon dioxide by aerobic microorganisms. Besides, the areas of active root growth of different plant species have played important roles in the improvement of soil redox and CH4 consumption acting as a conduit for oxygen transportation into and out of the substratum (Wang et al. 2013). Supplemental acetate can be inhibitory to methanogenesis in acidic peat samples, whereas glucose and H2 can be stimulatory (Williams and Crawford 1984). The negative influence of humic substances on methanogenesis has also been reported (Stewart and Wetzel 1982). Acetic acid and other fatty acids are known to be toxic at a low pH (Russell 1991). Acetate and other volatile fatty acids inhibit methanogenesis in bog peat at pH 4.5, but not at pH 6.5 (Horn et al. 2003). The explanation is the abundance of undissociated acetic acid under low-pH conditions. At pH below 6.0, a greater fraction of total acetate will be present as acetic acid (pKa = 4.7), which can permeate cell membranes, causing acidification of the cell interior and acts as a decoupler of the proton motive force that can be lethal to the cell (Russell 1991; Beer and Blodau 2007). Acetate concentrations of 5–10 mM and higher are considered to be inhibitory at a low pH, while acetate may be utilized at its natural concentrations in the micromolar range (Bräuer et al. 2004). In minerotrophic fens which are connected to the groundwater flow, ferric iron [Fe(III)] can be another potential electron acceptor. Fe(III) reduction appears to parallel CH4 formation in northern acidic wetlands (Metje and Frenzel 2005; Küsel et al. 2008). Methylotrophic methanogenesis is considered to be negligible in freshwater. However, methyl compounds especially methanol can play underestimated role as contributors to CH4 production in wetlands (Jiang et al. 2010). Microbial processes leading to methanogenesis in wetlands are similar but facilitated by dissimilar microbial communities. They are different among wetland locations and microtopographies and associated with wetland soil properties. Today for the ecological analysis of populations of methanogenic archaea as a part of complex microbial communities of wetland habitats, the whole spectrum of molecular methods is applied. Along with the commonly used 16S rRNA gene, the mcrA gene (encoding an alpha subunit of the methyl-coenzyme M reductase) (Friedrich 2005) is now successfully used as a molecular phylogenetic marker for analysis of methanogens. Using this functional gene as a marker and proper primer systems for its amplification (Narihiro and Sekiguchi 2011) allows for covering various non-monophyletic methanogenic groups while simultaneously eliminating from the analysis not methanogenic groups of microorganisms. Additionally, shotgun metagenome sequencing (SMS) (He et al. 2015) and qPCR (Cheema et al. 2015; Prasse et al. 2015) for the 16S rRNA gene and/or mcrA are successfully used for the analysis and quantifying methanogens in wetland habitats including new deep phylogenetic branches of methanogenic archaea. The most promising methodological direction for the study of methanogenic archaea in the complex microbial communities of wetland habitats is combinational methods of metagenomic, metatranscriptomic, and DNA and RNA stable isotope probing (DNA-SIP and RNA-SIP) (Hunger et al. 2011; Lin et al. 2015; Angle et al. 2017) with sediment slurry incubations and potential activity measurements. The application of molecular techniques based on 16S rRNA and mcrA gene sequences to study wetlands has revealed a diversity of methanogens belonging to the Methanomicrobiaceae, Methanobacteriaceae, Methancoccaceae, Methanosarcinaceae, and Methanosaetaceae as well as recently discovered archaeal lineages within the Euryarchaeota (Upton et al. 2000; Galand et al. 2002, 2005; Basiliko et al. 2003; Horn et al. 2003; Kotsyurbenko et al. 2004; Hoj et al. 2005; Yavitt et al. 2006, 2012; Metje and Frenzel 2007; Tveit et al. 2012, 2014; Andersen et al. 2013; Narrowe et al. 2017). The described representatives from these families are known to use both acetate and H2/CO2. It indicates that methanogenic community in peatlands contains all trophic groups of methanogenic archaea that are required to explain the formation of CH4 via acetoclastic and H2-dependent pathways. Nevertheless, methanogenic communities in bogs and fens are functionally different (McDonald et al. 1999; Galand et al. 2002, 2005). A bog has a more pronounced dominance of a few taxa, whereas a fen has a more even distribution among taxa. The methanogenic diversity at the bog is usually quite low (Galand et al. 2005). The peat pH, which is much lower in bogs, may be a factor in the selection of specific acid-tolerant microorganisms (Dedysh et al. 2000, Dedysh 2002; Bräuer et al. 2011). Methanogenic community composition has also been found to change vertically within a site (Galand et al. 2002, 2005). The low concentration of acetate in mesotrophic peats favors Methanosaeta spp., which have a lower threshold for acetate than other acetotrophs belonging to the family Methanosarcinaceae (Galand et al. 2005). In ecosystems where acetate concentrations are high, Methanosaeta spp. are outcompeted by Methanosarcina spp. (Fey and Conrad 2000). Essentially, a seasonal supply of fresh substrates in peatlands stimulates the growth of bacteria much more than the growth of archaea (Chan et al. 2005). The bacterial metabolism in turn stimulates methanogenesis, indicating the hydrolysis of polysaccharides and other complex organic materials as a first and rate-limiting step for the methanogenic degradation of organic matter production. Temperature also plays a role in the archaeal composition (Fey and Conrad 2000). It can directly alter the community structure of methanogenic archaea and the methanogenic pathway (Kotsyurbenko 2005; Metje and Frenzel 2007). Hydrogenotrophic methanogens are more sensitive to a reduction of soil temperature than acetotrophic methanogens (Chin and Conrad 1995). Acetate is considered to be the most important methanogenic substrate in near-neutral pH low temperature environments that favors acetoclastic methanogenesis and therefore enhances the contribution of acetoclastic methanogenesis to total methane production (Schulz et al. 1997; Kotsyurbenko 2005). In northern bogs and mires, a large proportion of sequences recovered had high homology with mcrA from known acetoclastic methanogens, i.e., >66% (Basiliko et al. 2003; Galand et al. 2005). Methanogenic diversity appears to increase with an increasing temperature. The diversity of archaea among wetlands distributed across latitudinal gradients tends to increase with a decreasing latitude that also correlates with temperature (Utsumi et al. 2003). Nevertheless, methanogens are also abundant in cold environments and Methanosaetaceae, Methanosarcinaceae, Methanobacteriaceae, and Methanomicrobiales are often identified as the dominant methane producers in Arctic wetlands (Hoj et al. 2005; Stoeva et al. 2014; Kwon et al. 2017). Another important parameter influencing the methanogenic community structure in wetlands is pH. Most of the detected cultured methanogens grow over a pH range of 5–9 but prefer pH neutral conditions as they rely on a membrane proton gradient for energy conservation (Horn et al. 2003; Drake et al. 2013) and therefore must be well adapted to survive in these environments. An exception is Methanoregula boonei, a hydrogenotrophic methanogen that has a more acidic pH range (i.e., pH 4.5–5.5) (Bräuer et al. 2011). The properties of M. boonei are consistent with the observation that Methanoregula-affiliated species are the prevalent methanogens in surface peat (0–20 cm below water level) in low-nutrient and low-pH (3.5–4.5) Sphagnum bogs (Bräuer et al. 2011; Yavitt et al. 2012; Hunger et al. 2015). In a wide range of acidic peatlands, ‘Methanoflorentaceae,’ formerly known as rice cluster II, was also found (Kotsyurbenko et al. 2004; Yavitt et al. 2012; Juottonen et al. 2015). Among acetoclastic methanogens, Methanosaeta is more abundant in the near neutral pH wetland soil, whereas Methanosarcina was detected in a wider pH interval in wetlands (Hunger et al. 2015). Just recently, it has been found that Methanomassilii coccales, a new discovered order of methanogens dependent on two substrates for growth (H2 and methylated compounds), also contributes to the high diversity of methanogens in wetlands (Sӧllinger et al. 2016). Thus, the succession of methanogenic archaea communities is dependent on the changes in environmental conditions and the quantity and quality of substrate, which are in turn determined by the plant community structure. Microorganisms inhabiting Sphagnum peat have specific growth requirements. They are sensitive to mineral composition in the environment and can only develop at low ionic strength (Bräuer et al. 2006a,b, 2011). The sensitivity of the methanogenic population from wetlands to nitrates and sulfates has been also reported (Scheid et al. 2003). The most important source of uncertainty on the methane budget is attributable to emissions from wetlands exhibiting large spatial variations at a field scale. Since it is impossible to cover all research sites by field measurements, modeling methane fluxes in wetland soils is proved to be crucial for estimating their contribution to global CH4 cycle (Cao et al. 1995). Empirical (regression) models establishing direct links between methane emission and environmental factors like temperature, water table level, and some others. These models are well applicable if the values of input variables are close to those used for the model verification. In case of methane emission predictions, these values can be significantly different. It results in an enormously big deviation in emission rates obtained from the model estimations and the following experiments (Smagin and Glagolev 2001). 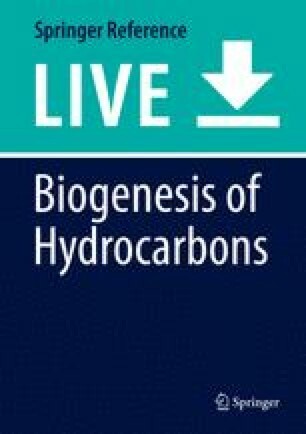 Process-based models describing both fundamental biological and chemical characteristics of methanogenesis (biokinetics) and physical basis of transfer processes (if available) in the system (Xu et al. 2016). Intermediate models which combine features of both aforementioned models. In such models various processes can be described by both empirical and process-based categories of dependencies (Cao et al. 1995; Frolking and Crill 1994). The accuracy of modern models and their well matching to experimental results is mostly achieved by the use of the model ensemble methodology that provides the final result of calculation by averaging the outputs of different ensemble models (Bloom et al. 2016). A special attention is now paid for the use of satellite retrievals, an active field of methodological development, with special requirements on the sampling of the model and the treatment of data uncertainty (Houweling et al. 2017). Additionally, attempts are made to couple sequence-based methods with biogeochemical and greenhouse gas measurements to contribute to modeling the microbial component in wetland methane fluxes. Methanogenesis gene abundance are negatively correlated with nitrate-, sulfate-, and metal-reducing bacteria and are most abundant at sampling sites with high peat accretion and low electron acceptor availability (He et al. 2015). Quantitative comparative analyses of sequence data can also provide molecular evidence explaining the spatial variations in biogeochemistry and methane production (He et al. 2015). In sum, the perspective application of wetland methane flux models requires (1) explicit representation of the mechanisms underlying land-atmosphere CH4 exchange, (2) proper simulation of CH4 emissions across highly heterogeneous spatial and temporal scales, and (3) investing efforts to develop model benchmarking frameworks for easy working with data from molecular to global scales (Xiaofeng et al. 2016). All these contributions to the models describing methane cycle in wetlands would be beneficial for the Earth System Models and further simulation of climate change feedbacks. There has been much progress in understanding the mechanisms underlying methane production in wetlands. Nonetheless, further work is still needed to make adequate and precise predictions of greenhouse gas emissions on the global level and to explore new possible sources of methane such as plant matter and living plants (Vigano et al. 2008; Nisbet et al. 2009). A detailed knowledge of the structure and the functioning of methanogenic communities from the largest terrestrial methane-producing ecosystems would be beneficial for understanding the microbial ecology of methane production, which, in turn, may lead to interventions to ultimately control the factors of the global CH4 turnover. The research is necessary that aims at integrating the analysis of environmental factors, biogeochemical processes, and bacterial and archaeal community profiles in diverse wetland ecosystems. The effective concept of such study includes a consecutive consideration of interacting biosystems of different complexity levels (the systems biology approach). Accordingly, methane flux measurements in situ and in peat bog samples (ecosystem level) are followed by experiments on trophic microbial interaction, predominant methanogenic pathways (community level), and, finally, characterizing the microbial diversity and the metabolic potential in partial methanogens in the community (microbial group level) with an attempt to investigate the key microorganisms (microorganism level). The insights into the microbial community structure and the main controlling factors in wetlands provide a valuable background for further studies on biogeochemical processes in these ecosystems. Future studies should address the spatial and temporal heterogeneity of wetlands with special focus on the potential differences and similarities of anaerobic processes and associated microbial communities that drive methanogenesis in such research sites. Both cultivation-dependent and cultivation-independent approaches should be involved to characterize the true in situ microbial composition. The specific requirements of different groups of microorganisms living in mineral-deficient wetlands at low temperatures and an acidic pH should be analyzed to establish new protocols for getting active enrichments and maintenance of important, yet poorly culturable, microorganisms, which will significantly expand our knowledge on biodiversity and the limits to life under the harsh environmental conditions. Microorganisms developing under such extreme conditions may exhibit novel adaptation mechanisms, which could lead to new bioproducts and extend the range of biotechnological applications. Investigating the functional features of anaerobic communities in transiently and permanently cold wetlands may contribute to the development of more economic and environmentally sustainable low-temperature microbially mediated waste treatment systems providing great low-temperature-adapted microbial resources (Blake et al. 2015). We would like to thank Dr. S.N. Dedysh for her valuable advices during the preparation of this manuscript. This work was supported by a grant from the Russian Science Foundation (17-17-01204).